Best Boxing Links Young Victor Boxing's respected link partners. "Great World Champions including Aussies that won titles with Links." "World and Australian Sanctioning Bodies"
Australian National Boxing Hall of Fame Australia's National Boxing Hall Of Fame praises our great boxing champions, those that have excelled in the art of boxing, they will be enshrined for the rest of time. Young Victor praises this organization for its true Australian Spirit maintained by members who some are legends themselves, they glorify the champions that gave us so much during their life in boxing. PPBA Past and Present Boxing Association official website, in it you will find everything about today's whereabouts of our pioneering fighters and boxing officials. The PPBA website went online in November 2008. 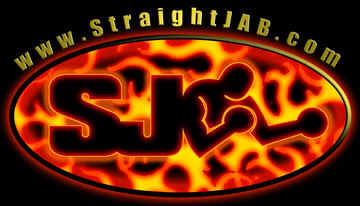 (Since 2003, YVB published a section on this site to give them the only internet presence they had which boxing fans loved.) YV wishes them all his very best and hopes this will continue for ever. Australia's boxing resource showing boxers, matchmaking, rankings, results and news. THE FIST - BOXING MAGAZINE (Australian Publication) monthly. Fighter Online (Magazine) You could be missing back numbers by the dozen. A hundred stories. All for the price you pay now. Nothing! Just click the button, Headliners Archives and scroll down to start on a feast of reading back to October 2003. Michael J. Clarke is a boxing historian and author. He maintains the largest collection of boxing memorabilia in Australia, including records, photographs, magazines and books, covering all eras of the noble sport. BOXING GEAR SALES - This site is a part of YVB Network supplying quality boxing fight and gym gloves, speedballs, mitts and all gear needed for training and fighting in our great sport of boxing. BOXING TICKET SALES Part of YVB Boxing Network specializing in selling entry tickets to Melbourne's and Victorian regional Boxing shows with plenty of success. Young Victor's Lifetime's work and comeback to boxing then 63 years, now 69 years of age presenting Boxing News and local Victorian local fights with videos and (PPBA) Past and Present Boxers Association and Victorian Boxing Trainers League News. The Sweet Science At The Sweet Science, our mandate is simple -- to give you, the boxing fan, what you want. Schedule info, results, boxing news from around the world and, plain and simple, the premier roster of boxing writers anywhere on the Net. 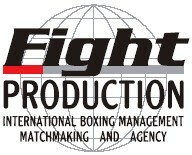 Worldwide Boxers Records, Fight Results, Fight Schedules and more. Boxing on the web like you've never seen it before. Your source for 24 hour boxing coverage. DOGHOUSEBOXING Your Fun Resort in the Sport of Boxing. Amato Boxing - Articles on boxing, memorabilia and a lot more. Brother-In-Laws http://www.angelfire.com/oz2/brother-in-laws/ Young Man in Australia with pride in his great grand father and great grand uncle. "BOXING GYMS & Personal Training Links"
www.fitness-shop.com.au Fitness Shop - Australia's Premier online supplier of Boxing, Martial Arts, Fitness, Gym and Weights Equipment. http://www.boxingcollectables.com.au/ BOXING COLLECTABLES AUSTRALIA has been established as a base to purchase some quality rare items from our boxing past not only here in Australia but from other parts of the world. http://www.youngvictorboxing.com.au/Memorabilia_of_Boxing.htm A mixture of boxing interests being put together by Young Victor for our local boxing enthusiasts. videos can be downloaded and saved on your own computers with ease. Young Victor placed links here to other websites out of respect to his visitors and publishers alike. If you see a link to yours you may reciprocate by placing one on your respectful site, and if you don't see your link and would like one placed just contact him from above. We at YVB have lots and lots of respect for all our links to other Boxing websites and expect other sites to be just as respectful to to us. Long Live Boxing the sport of gentlemen. Everybody is welcome to link to YVB without permission. This is a young new website and links are still being collated. YOUNG VICTOR BOXING is a well respected website in Australia and worldwide.